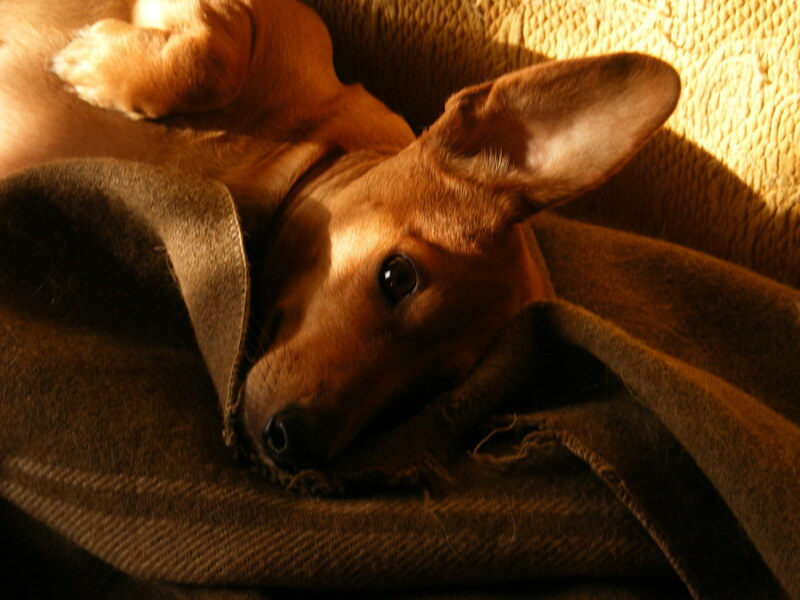 Congestive heart failure in dogs may be considered a silent disease. Because of the heart's ability to compensate even though weakened, the disease may go unnoticed for many months and in some cases even years. Then, out of the blue, the dog or cat may begin exhibiting worrisome symptoms that will be brought to the attention of the veterinarian. A normal heart functions very well and is able to provide adequate quantities of blood to all the tissues and organs of the body. In congestive heart failure, the heart is no longer able to pump blood effectively, negatively affecting circulation to the body and causing organ impairment. Liver, kidneys, lungs, and other vital organs will ultimately be affected as well. The causes of congestive heart failure may be various. The pet may have been born with a heart defect, in which case, the condition may be considered congenital. The presence of heartworms in the dog's heart may cause sufficient damage to cause heart failure. Toy- and small-breed dogs in general are prone to chronic valvular disease, which may ultimately cause congestive heart failure. Large- and giant-breed dogs on the other hand, have a tendency to develop cardiomyopathy, which also may cause failure of the heart organ. Symptoms may be moderate and in some cases barely noticeable at the dieases's early stages. The affected pet may appear to be more tired than usual upon exertion. A dog may pant more during walks, require a break, or come home more tired than usual, breathing fast and panting. A cough may appear as well during exertion. However, as the disease advances, the pet may cough during the night a few hours after the pet lays down to sleep. This is due to fluid pooling in the lungs because of the heart's inability to work efficiently. Also the dog may appear restless prior to going to sleep, pacing around and acting uncomfortable. These symptoms may be subtle, and, since congestive heart failure appears often in senior pets, they are easily confused as normal cases of aging. Once the disease advances, more specific symptoms may arise and the pet may refuse to eat, lose weight, and breathe rapidly. Also, because the heart does not function properly, fluids will accumulate in the legs (leg edema). When the left ventricle of the heart has halted from functioning, the dog will cough up a pink, bubbly fluid, a condition known as pulmonary edema. Fluids will also tend to leak in the abdomen, causing a condition called ascites, and in the chest, causing a condition known as pleural effusion. Affected pets will experience swelling in the abdomen, chest, and legs. 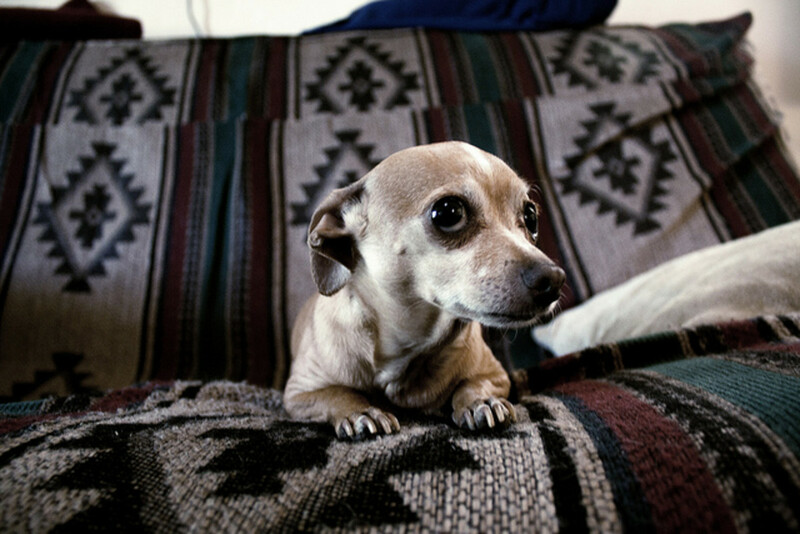 A pet at the end stages of heart failure will have labored breathing and sit in a characteristic position with the head extended and elbows spread apart. Because circulation of blood is severely impaired, the gums will be bluish-gray. The pet may collapse. The veterinarian will inspect the pet, listen to the heart and lungs, and order some specific tests. A heartworm test may be run via blood sample to rule out heartworm disease. Chest x-rays or an echocardiogram may be ordered. The pet's blood pressure may be monitored. 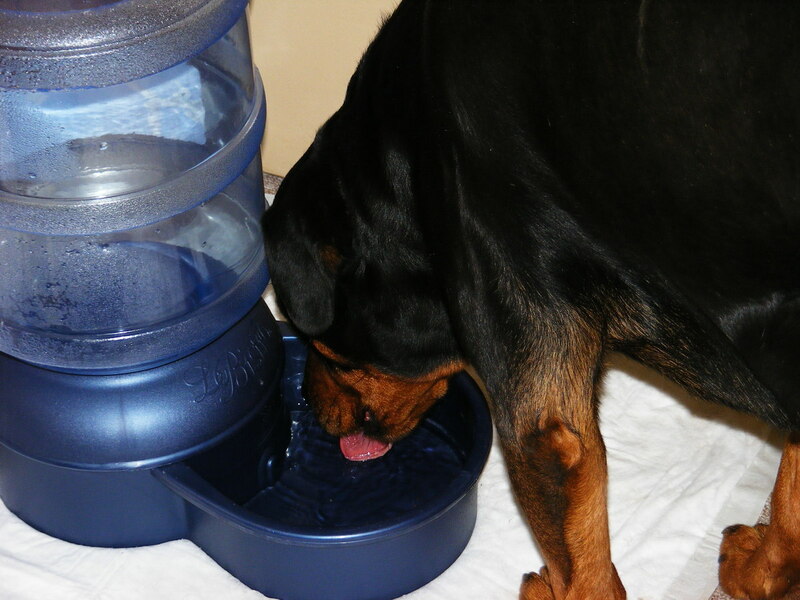 Affected pets will be prescribed diuretics to remove excessive fluids and reduce the workload of the heart. If pleural effusion is present, a procedure called thoracocentesis may be required. Such a procedure consists of inserting a needle into the chest cavity and draining out some fluid. Nitroglycerin may be prescribed to act as vasodilators. If there are arrhythmia, medications such as Digitalis may be prescribed. A special diet low in salt is required. Most commercial pet foods have high levels of sodium. Therefore, prescription diets may be required such as Hill's H/d Purina CV or Royal Canin EC. Potassium supplements are often prescribed because some diuretics tend to lower potassium levels. When treated early, supportive care may prolong the pet's life, even by years. Dogs will be able to lead a more comfortable life. However, routine check ups will be required to monitor effectively the condition. How can I get my dog to eat? I imagine your dog is on a low-sodium diet, or perhaps a prescription diet. I do not know how severe your dog's heart failure is, but recent research has shown that some sodium might have some benefit in subclinical heart failure. Look up the human study "Normal-sodium diet compared with low-sodium diet in compensated congestive heart failure: is sodium an old enemy or a new friend?" Of course, high-sodium foods like human snack foods, cheeses or cold cuts should be avoided, as these cause a sudden spike in sodium levels. Consult with your vet about your dog's difficulties with eating. He or she may suggest appetite stimulants or another type of food. Some dogs do better with canned food. If you are feeding him dry, see if the brand you use also makes a canned version that you can mix in with the dry. Although it may be ideal to eat a cardiac prescription diet, your vet may be able to suggest another high-quality diet. That or you can ask a vet specializing in nutrition for a recipe for a balanced diet that you can prepare at home. My basset was recently diagnosed with CHF. She also has a large mass on her spleen. Will it ever be safe to remove the mass and/or spleen? Usually, a mass isn't removed, but the whole spleen is removed and then is sent to a pathologist to determine whether the cancer is benign or malignant. Regardless, without taking the spleen out, there is a risk of splenic bleeding which can cause death even if the mass is benign. Therefore, the mass on her spleen could likely be the most pressing problem at this time. 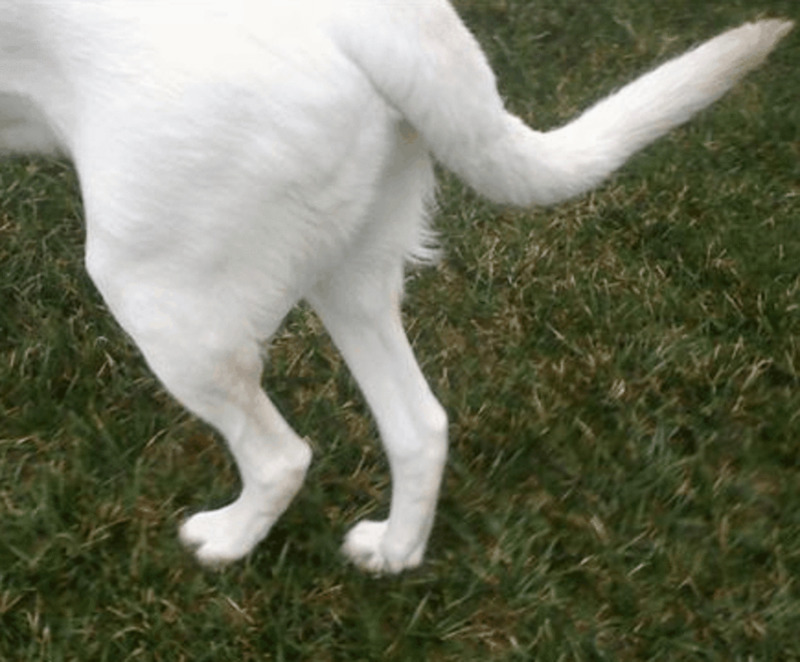 Generally, splenectomy can be done quite safely in dogs with early CHF. 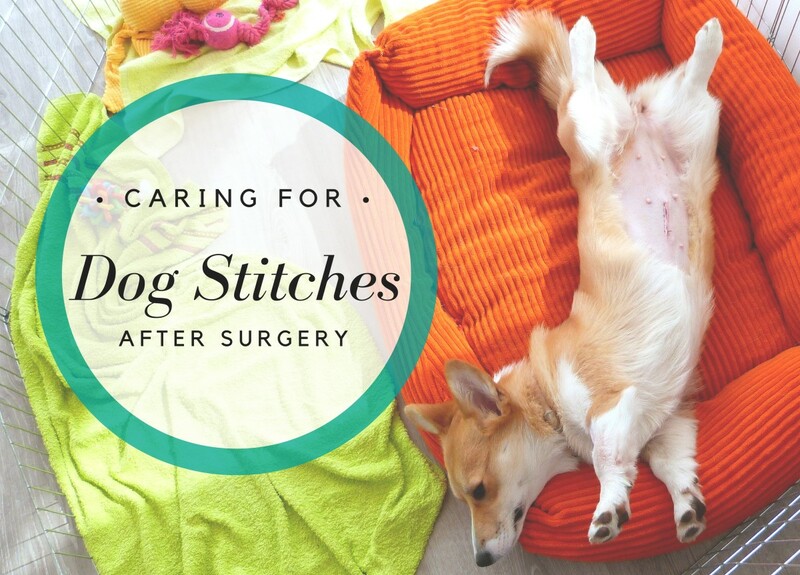 However, every situation is different, and the risks may be higher if the dog is very old or frail and the surgery may not be a good option if there are signs of cancer spread to other organs. Consulting with an oncologist may be helpful for expert advice. The oncologist may suggest having a CT scan done to see whether there may be signs of cancer spread to make a more informed decision based on the findings. If the oncologist feels surgery is warranted, it would be best to have it done by a board-certified surgeon and in a place where the dog is monitored for a couple of nights in case there are complications such as arrhythmias. Nowadays, there are sophisticated new anesthetics that are fairly safe for dogs with CHF; however, there are always risks with surgeries and anesthesia and the recovery time. Palliative care is still an option when things are too advanced, and the chances are too great. 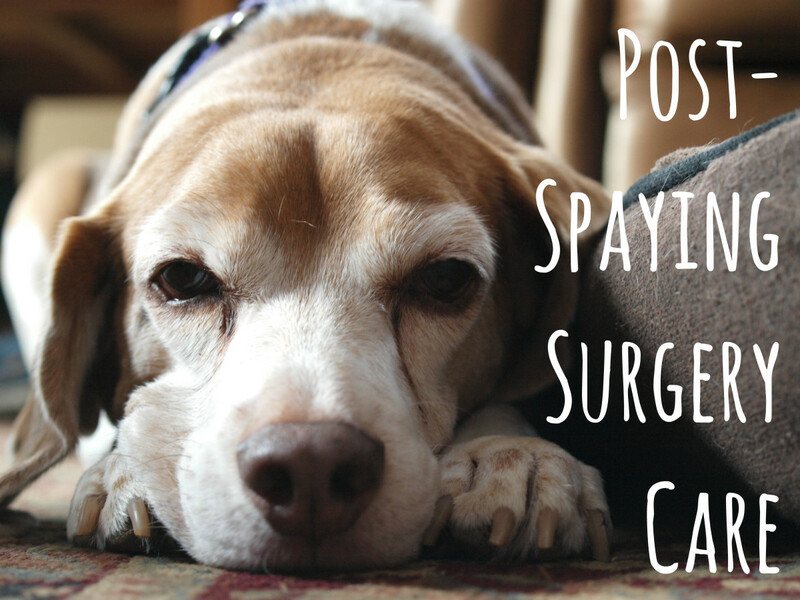 So these are all things you want to talk about when consulting with your vet. The weakness is concerning, it can be heart issue or sometimes old dogs of this age get tumors that may bleed and cause anemia and weakness. A vet visit would be in order to see what's going on. Care Credit can help if you are in a difficult financial situation. There is no interest if you pay withing a certain timeframe. Dear Jill, I am sorry to hear your dog is suffering lately.I would talk with your vet about the symptoms you are seeing. The symptoms you are seeing can be due to vestibular disease, which often can be helped with motion sickness medications, but advanced heart disease can also cause this. You may also be seeing the onset of canine cognitive dysfunction which can sometimes be helped with medications from your vet. So you will need to see the vet so he/she can assess what is causing the drunk-like walking (ataxia) and pacing you are seeing and see if there is anything you can do to make him comfortable. Keeping you in my thoughts at this difficult time. Oh, Pamela, that must be devastating to go through. It's so terrible when there are holidays. Wondering if you can travel to en emergency vet in some bigger town that is opened 24/7 or see if some mobile vet is available or a vet working for a shelter. Please don't blame yourself, as you said, it's very difficult to predict things and we can only do the best we can. I will be keeping you in my thoughts and prayers. My little dog has been on meds for a year and this week got worse set up time to put him to sleep but it wasn't till next week. Now he's taken turn for the worse and I can't get ahold of any vet in our small community. I called animal control because the sheriffs office said they could put him down but due to the holiday they won't be back till Tues. I should have not waited so long and now he's suffering. It's so hard to know when to put them down. It breaks my heart that I waited so long. But he was eating and drinking and I just thought he wouldn't take such a turn for the worse. Sending Chico best wishes, I hope a solution can be found so to buy him more time with you. I just found out about my pup having chf I am absolutely destroyed inside and so is my father. I cannot stand to see him like this and am in tears uncontrollably. Its nice to hear from people that have had this feeling. As you all know I am doing as much info chasing as I can and can only hope that he knows we are trying our best I wish u all the best of life has to offer losing a pet is a pain no one should have to feel thank you for your comments and please give my dog chico your best. 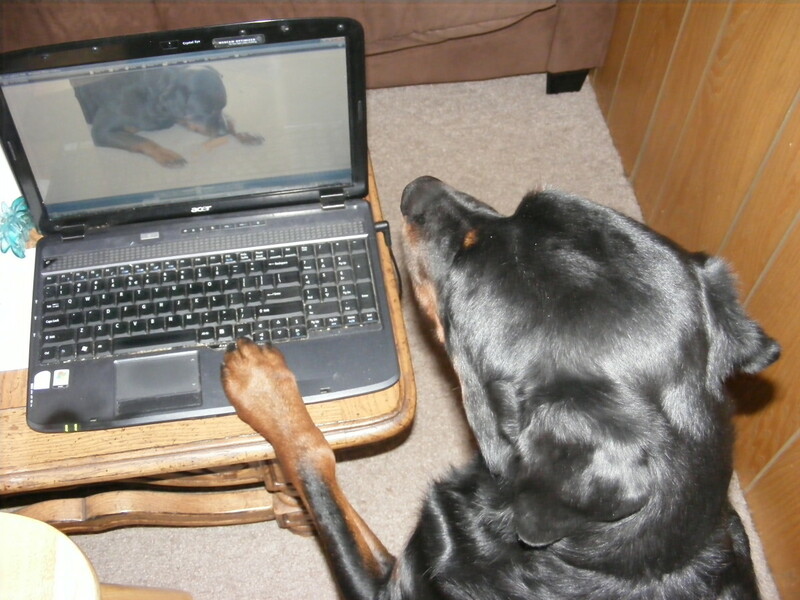 Very nice information is given on hub regarding congestive heart failure in dogs. Silvia, I would let the vet know and see if he/she has any other options. Is she on any heart medications? I have a hub about a dog's quality of life that can perhaps help, best wishes. I don't know what to do. My dog is coughing all day, non stop. She has an enlarged heart and a heart murmur and is 14-1/2 years old. Other than that she acts normal. The Vet gave her antibiotics, then a cortisone shot, but nothing helped. How do I know if she's suffering and when to put her to sleep?? HI I too was devastated when I had to put my loving dog to sleep it was the hardest thing I have ever done. I know I did the right thing he was suffuring to much he was 10 years old he also had CHF. was breathing to fast I had him on meds but was not working anymore I loved my dog to much to see him suffer. I miss him dearly but know that he is not suffering any more. People don't wait till the last min love your dog and let him go. My dog mama has no been new to our family as of a year ago, she was a stray and we could tell she had just had baby's. so we took her in not knowing that she had been a new mommy. so we named her mama, she had just started coughing about three months after we found her, it was occasional but not often. We took her to the vet and they told us she was too loose a couple of pounds and i thought it was kennel cough but no way i was wrong, they gave me antibiotics and they cough went away for awhile but then came back but worse then ever, she has excessive drool on her chest she is alittle over weight, and she has very heavy breathing, & is alittle more tired then usual but i can't really offord another vet visit, so what should i do? Is it Congestive Heart Failure! i'm consitering just putting her down. i don't know her life history. but i love her and it scares me! HELP! Kelly, our cat just died of CHF yesterday. Except it was very sudden and unexpected. He was doing BETTER. His heartrate was good, his respiratory rate was good, he even was eating and playing. It was like he was never ill. And then it happened. IF we would have had warning that he was really, really sick, we would have put him to sleep. It was fast, but he looked miserable. When he died, he was pale, he lossed his bowels, he was gasping, and then finally coughing up blood until he let go of life. If you know he's getting very ill and he has little quality of life left, put her to sleep to spare her of that kind of death. This was very helpful and easy for a concerned lay person to comprehend. Thank you.